After almost a decade of helping agencies get to powerhouse status, a groundbreaking solution was overdue for agencies who are still dreaming of quitting their day jobs. Lack of Education – Whether it’s digital marketing know-how or business acumen, struggling agencies are often missing knowledge that can be hard to come by. Lack of Tools – There are many lead generation tools and marketing automation software that can make aspects of starting an agency easier. None of which are affordable for new agencies. Meeting each of these needs requires two resources which are in short supply for new agencies – time and money. With Agency Advantage, growing your agency becomes much easier and you have more time to sell. B2B lead generation and lead nurturing are the linchpins of successful agencies. 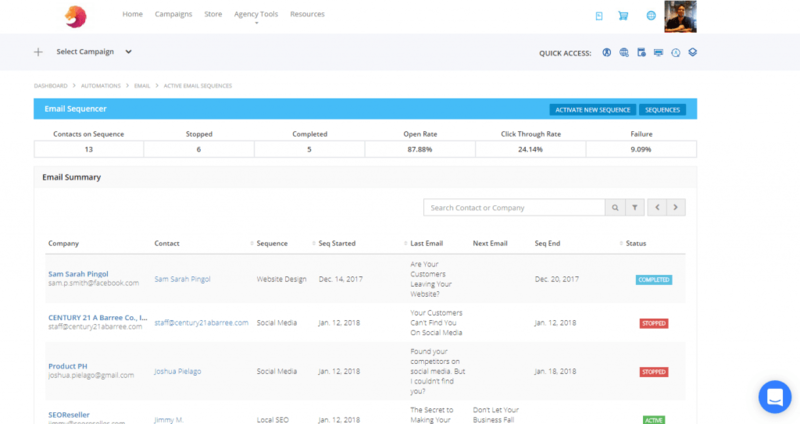 With Agency Advantage, we make it easier for your agency to do both by helping you capture leads, connect with leads, and guiding them through your sales funnel. Our CRM software is the center of the Agency Advantage platform. Sales leads generated with Agency Advantage can be funneled to your CRM as a hot lead. Change the status to warm, slipping away, cold, disqualified, or customer as necessary. From the CRM, easily view enriched contact information, email history, details about their website and social media plus any proposals or audits generated for the lead. Send manual emails or enroll the lead in prebuilt automations with the click of a button. Leads generated via the lead generation forms on your website with the SEOReseller Partner Plugin in WordPress will still be funneled to your CRM as well. The number one problem of agencies, both new and old, is finding more leads. But not just any leads – qualified leads. Many agencies are struggling to find leads and finding qualified leads is next to impossible. The result? A lot of wasted time chasing leads that aren’t ever going to become clients while businesses that actually need your service fall through the cracks. It’s a losing situation for agency owners who only have a few hours per week to focus on their agency. Search by niche and location – Doesn’t get much more simple than that. Your agency is located in Dallas and you specialize in digital marketing for contractors. Press enter. This allows you sell them a service they actually need. For instance, a business with the status of “SEO detected” might not be an ideal candidate for you to sell SEO. Save leads to your CRM so you can communicate with them and start nurturing them with Marketing Automation. Nurturing leads can be as difficult as finding leads. With Marketing Automation, we remove the guesswork from sending cold emails with pre-built email sequences designed to turn leads into clients. We use proven nurturing techniques that we apply in our own marketing as well as leveraging what we know works for you, our partners. Our templated emails are simple and easy-to-read while providing solutions to actual problems. Each email contains a link to brandable landing pages for each service your agency offers. With Agency Advantage, we give you a marketing funnel that starts with generating leads and ends with a conversation with you. A Steady drip of relevant emails – Each sequence contains 3 or 4 emails sent at preset intervals over a 7 to 10 day period of time, depending on the number of emails in the sequence. Designed for either Acquisition or Education. Brandable and beautiful – Branded with your logo and agency colors. Created with graphic design that makes you look like a digital marketing pro. Schedule a call – Set up an account on any free appointment calendar online like calendly.com or simplybook.me and easily copy the link to your dashboard for it to display on your landing pages. Unless you are a top-notch salesperson, your leads are likely to want proof that your agency has the ability to design, rank, or drive traffic to their website. This sort of proof usually comes in the form of a portfolio, testimonials or case studies. But for most agencies, it’s a Catch-22. You need a portfolio to convert leads into clients but you need clients to have a portfolio. We fulfill the service needed by your clients. Something we have done thousands of times. Therefore, we have created white labeled proof that we can do it for your clients. 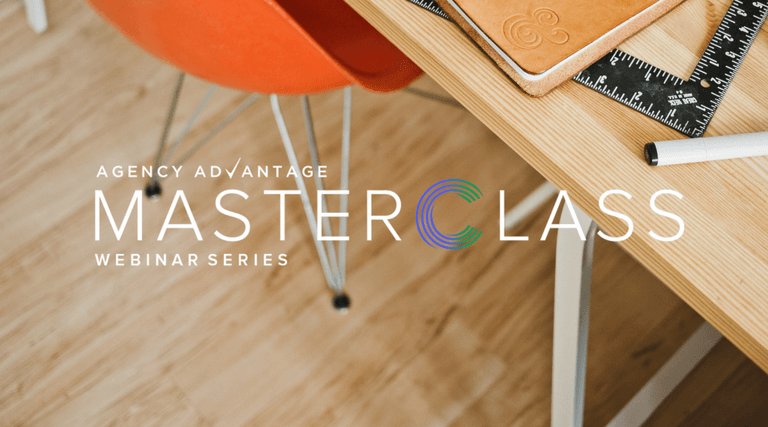 At the start of the Agency Advantage platform, subscribers receive the following resources for our Organic SEO, Local SEO, Web Design, Social Media, Adwords services and the Reputation Management subscription. White Label Pitch Decks – Brandable Powerpoint presentations designed to be an aide during your sales pitch. Builds awareness of the importance of the service, why their business needs it and how your agency helps. White Label Videos – A short, fun-to-watch and informative way to communicate how your agency helps their business with each service. Upload to your YouTube channel, share on your social media accounts, or display during pitches. White Label Case Studies – Proof in numbers. Data-based, real case stories created with eye-catching photographs and design that you use as proof that your agency has already helped other businesses succeed. Industry Experts – People in the digital marketing industry that have helped agencies become successful or built successful agencies themselves. Corporate Leaders – You’ve heard from SEOReseller leadership before but never like this. Pick their brain about how to use our platform to build your agency. Successful Partner Agencies – By now you know that we have helped agencies go from weekend warriors to having a team do the work for them – and make millions in the process. Find out how they used the SEOReseller platform to get there – and ask questions along the way. We know you want to learn more about digital marketing and how to sell our services but you don’t always have 30 minutes for our informative webinars, or maybe after a long day of working for someone else at your regular job, reading a blog post is just too much. Instead, subscribers can sign up for our digital marketing email courses and get a steady drip of educational emails with just enough content to wet your appetite for knowledge in bite-sized, easy-to-read emails. Stop spending hours and hours trying to find leads or sending emails that you’re not sure will work to leads that might not even need your service. With Agency Advantage you have a better chance of closing leads because you have a foot in the door and you know they need your service. The Agency Advantage platform combines all of the tools and resources to make you successful today. Shave years off how long it takes to grow into a profitable agency and turn your dream of being a successful business owner into a reality.